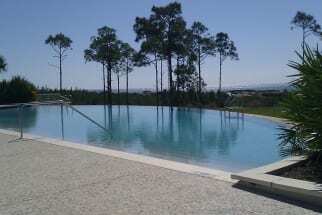 Welcome to the Cypress Dunes vacation rentals in South Walton, Florida! This resort style complex provides countless amenities for your next family vacation. When staying at Cypress Dunes you have access to two resort style pools, a jetted spa, the fitness center, and tennis courts. When you stay at one of these rental properties you will not be disappointed! Our Cypress Dunes vacation rentals include all of the appliances and amenities that you will need to feel comfortable and secure while on vacation. Cypress Dunes also has quick and easy access to the beach for the long sunny days you want to relax by the Gulf. The area also offers lots of activities for your vacation such as Big Kahuna’s Water Park, the Santa Rosa Golf & Beach Club, the Destin Commons and the Harborwalk. Enjoy a nice meal at one of these favorite local restaurants such as the Hurricane Oyster Bar & Grill, the Shrimp Shack and Goatfeathers Seafood Restaurant. Plan your next vacation to the Emerald Coast and stay at Cypress Dunes. Browse several Cypress Dunes properties on Emerald Coast By Owner and contact the property owner directly. This will assure you the best price for your vacation rental. ECBYO does not charge any service fees when you book with us! We hope you enjoy your stay at Cypress Dunes in South Walton Florida!